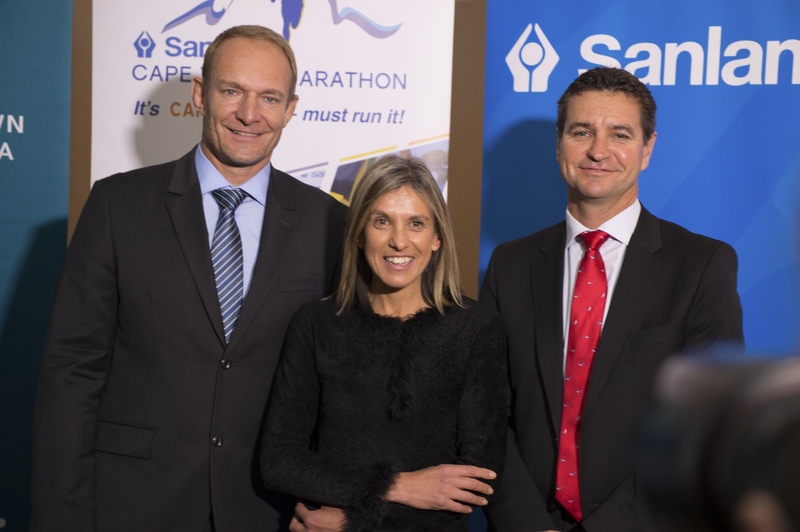 Cape Town, 21 July 2015 – With just 60 days to go to one of Africa’s most prestigious road races, the Sanlam Cape Town Marathon organisers have promised an even more impressive world-class field and a faster course as they target top-flight international status. Last year, aiming for IAAF Bronze Label status, the organisers were delighted to become the only marathon on the continent to achieve Silver Label recognition after the first edition of the relaunched event. The new-look 42.2km race will be held for the second time on September 20 as part of another weekend running festival, which also includes the Sanlam Cape Town Marathon, the Sanlam Cape Town 10km PEACE Run, the Sanlam Cape Town Peace Trail Runs (11km & 22km) and the Sanlam Cape Town Community Fun Run, and this year the organisers are targeting IAAF Gold Label status. Last season’s line-up included a host of world-class athletes, led by a quality East African field, as well as some of South Africa’s fastest road runners. Kenyan Willy Kibor led the charge by securing victory in the men’s race in 2:10:45, and Ethiopia’s Meseret Biru won the women’s title in 2:30:58, leading a 29-member elite field representing six countries. While Kibor’s and Biru’s times were the fastest on SA soil in more than 19 years, an even better field of stars will be invited this year. By improving the quality of the line-up and ensuring everything is in place to help produce faster times, race ambassador Elana Meyer says they are confident of earning IAAF Gold Label Status. Meyer says they want to stretch the yardstick by modelling the race off major international city marathons around the globe and make it one of the most acclaimed road running events in the world. There will be significant changes to the route this year, after certain parts of the race slowed the elite runners last season. By making adjustments, the race’s executive committee is confident the new, flatter route will be conducive to fast times. The race, which already has a well-established charity drive, is also making strides in other areas. It is one of South Africa’s first carbon neutral events, following the purchase of carbon credits traded on a JSE platform, as it paves new ground at the forefront of sustainable running and race organisation in Africa. Yegs Ramiah, Chief Executive: Sanlam Brand, says she is looking forward to the 2015 event, the second year the race has been under the financial services group’s headline sponsorship. Ramiah said that the accessibility and inclusivity of running, which mirrors the group’s approach to wealth creation, made the sponsorship extremely special. Entries for the race are filling up fast, having nearly passed last year’s actuals with more than 60 days to go. As the success of last year’s event fuels interest from the public who aim to #Challengethemselves and #Challengetheirfriends to participate, entries are expected to reach 7 000 for the marathon. Pre-entries for the Marathon, the 10km PEACE RUN, the Trail Runs and the Fun Run close at midnight on Sunday 6th September 2015. Late entries will be accepted for the 10km PEACE RUN and Fun Run at the EXPO, however no late entries will be accepted for the Marathon or the Trail Runs. With significant improvements being made across the board to showcase the race through the streets of the Mother City, this groundbreaking event, managed through a joint partnership between Western Province Athletics (WPA), ASEM Running and the City of Cape Town, promises to continue growing in size and popularity. Africa is our home, this is our race. It’s Cape Town – Must Run it!